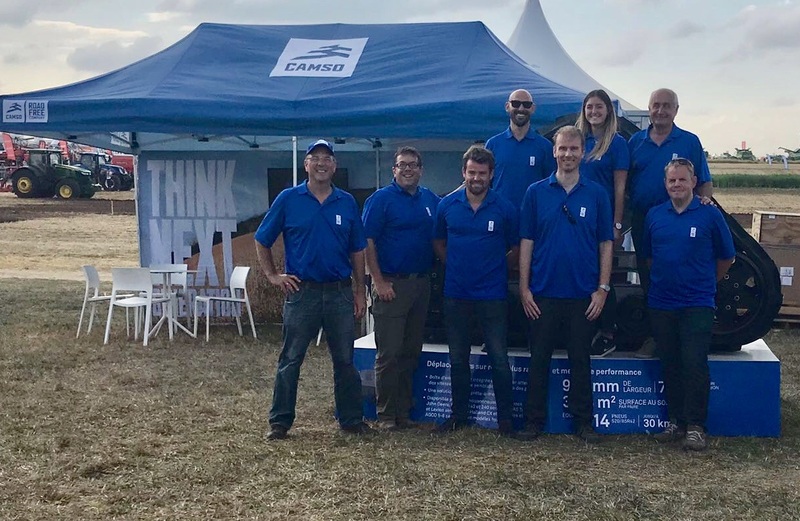 Magog, Quebec, Canada (Sept. 11, 2018) – Camso shared details about its Conversion Track System (CTS) High Speed for Combines and provided updates from its Profit From the Ground Up field study at this year’s Innov-Agri Show that took place Sept. 4-6 in Outarville, France. “We have the widest range of agricultural tracks in the industry and continuously expand our product portfolio to serve numerous types of agricultural equipment and applications,” said Martin Lunkenbein, Service and Aftermarket Sales Executive Director - Agriculture for Camso. Expanding its product offering to more combine brands, Camso displayed its latest CTS High Speed that allows tracked harvesting machines to reach road speeds similar to those of wheeled combines. 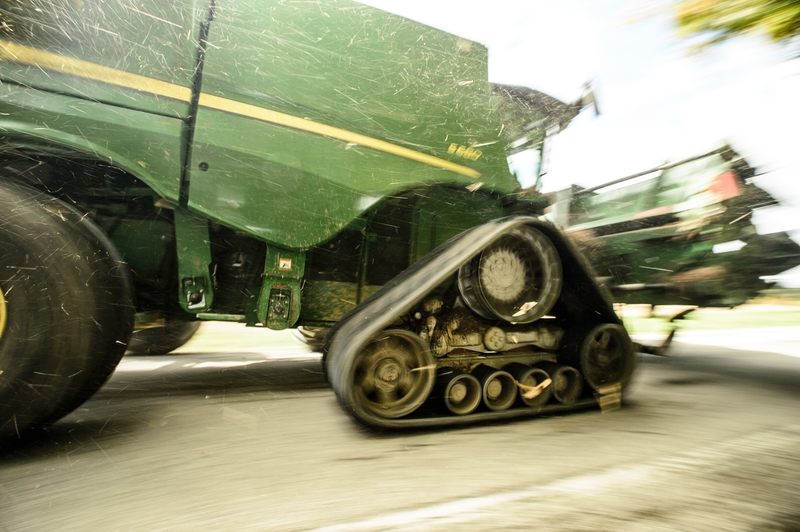 “CTS High Speed is the industry’s first 100 percent bolt-on track system for combines with an integrated final drive that achieves similar roading speeds to wheeled combines – up to 23 mph (37 kph). This exclusive innovation increases a combine’s mobility and flotation for better access to fields with soft ground conditions,” stated Lunkenbein. During Innov-Agri, Camso also released new results from its Profit From The Ground Up field study. The studies are designed to help producers get the most from their fields by using the right tools. “To prove it, we are bringing farmers real data on the benefits of using Camso tracks and track systems for tractors and implements. The first seasonal test has been conducted on tractors for soil preparation,” Lunkenbein said. In one Italian study in corn, the Camso track systems helped produce a 10 percent yield increase with improved performance and better soil preparation. Producers can contact their local Camso dealer for details. Visit Camso.co for the name of a dealer near you. For the third year in a row, Camso’s product experts discussed newly launched products and lowest operating cost solutions with attendees. We’re committed to engineer products that respond the evolution of farming equipment and solve farmers’ mobility challenges while improving their productivity. Being present at Innov-Agri is important for us to support our partners in France and help farmers with their specific application needs. Camso has had an established presence in Europe for more than a decade and strengthened its network and expertise with the integration of the Italian Conversion Track Systems manufacturer Tidue in 2013.